We help you to consult and hire the best Supreme Court & High Court Marriage Registration lawyers in Hyderabad. Use filters to narrow your search and find the best advocate in Hyderabad, whether its a family dispute or divorce lawyer, property lawyer, employment or labor court lawyer, criminal lawyer, recovery or cheque bounce lawyer, taxation or corporate lawyer, or a lawyer expert in any other field of law. Need help to find the best Marriage Registration lawyers in Hyderabad? There has been reported many cases in the past where gullible girl has been victim of fake marriage and sadly with no proof of marriage being solemnized due to non-registration of marriage proper remedies were not available. Registration of marriage is never easy in a country like hyderabad with so many religions and different laws applying to them, also when it comes to visiting a government official for some work can’t expect that to happen anytime soon. In respect where bride and groom both belongs to Hindu, Sikhs, Jains or Buddhists community are governed by Hindu marriage act 1955. Where the spouses belong to different religion as seen in many cases including for court marriages are registered under special marriage act 1954. This act is liberal with regard to caste, creed, religion and even nationality of people. Under this act the rituals and customs are done away and couple can directly approach the marriage registrar for performance and registration of marriage. The process of registration of marriage comprises of firstly filing an application with the marriage registrar, secondly you need to have all the necessary documents such as-application signed by both husband and wife, evidence of date of birth of the parties, address proof of the parties, affidavit by both the parties relating place & date of marriage etc. Instead of wandering from registrar’s office to home and again for insufficiency of documents or lack of legal knowledge to go forward for a marriage registration hire from Lawtendo the best matrimonial lawyers in hyderabad. 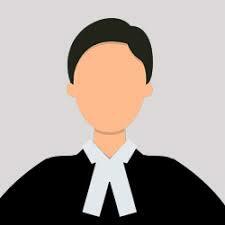 Lawtendo always strives to provide you with excellent legal advice and legal services. Through Lawtendo you can always get experienced marriage registration lawyers in hyderabad that are best suited to your needs. The exceptional lawyers that Lawtendo offers you with are experienced in their field so for registration of marriage and connected issues in hyderabad opt Lawtendo for best solutions.